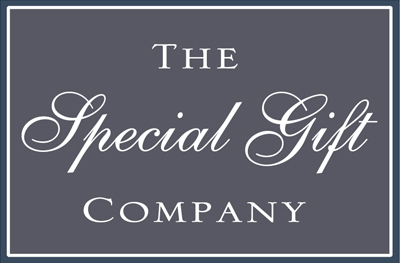 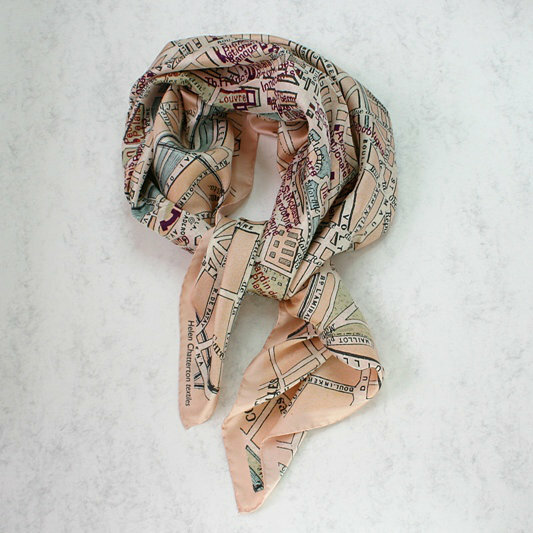 Unique and beautiful this luxury silk scarf would make a wonderful special gift. 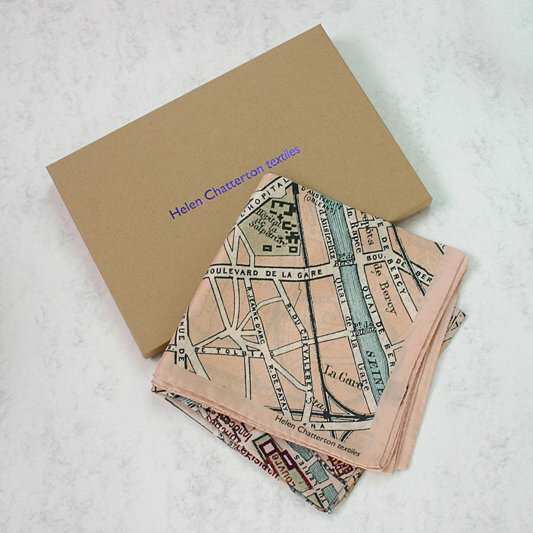 Printed with a vintage map of Paris in soft pastel colours. 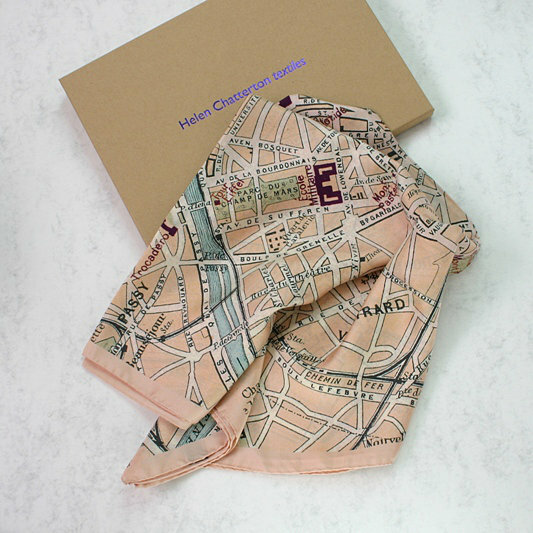 Made in England in 100% silk with hand rolled edges from the city of cloth range of scarves by Helen Chatterton.